Using a static HTML generator now called Hugo. Before I used HTML and server-side-includes. Synchronization is done with rsync over ssh. If you ask yourselves, why no CMS, well, the two wikis/CMS I had before (I don’t mention names) were hacked in no time. And don’t want to spend any time doing security updates all the time. 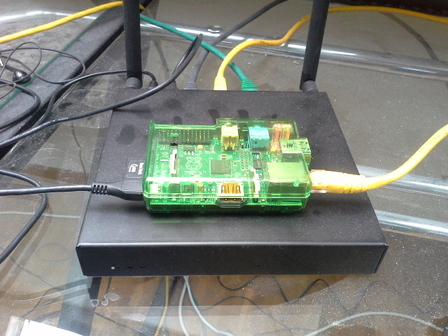 Hosting is done on a Raspberry Pi 1 B+ with ArchARM. I was simply fed up with the speed and the cumbersome user interface of nowadays virtualized web hosting solutions (I don’t mention names here again). The Alix 2D.13 board in the black box underneath is running OpenBSD and is the newest and shiniest self-built router (with stealth master-DNS, DHCP, etc.) for my local network and my personal domain.